Has Your Company Really Adopted DevOps? Traditional operations are well-defined. But DevOps is not a definitive experience. DevOps is organic communication among people. Traditional operations are well-defined. But DevOps is not a definitive experience. DevOps is organic communication among people. Emerging from the need for improved quality in development and accelerated innovation, DevOps has increased in popularity among software deployment teams. However, transitioning to the cultural change is incumbent upon an organization. The goal of DevOps is to empower development and operations teams to collaboratively take responsibility for production towards the outcome of smooth, quick, and continuous software deployment. Communication between development and operations integrate the two teams, such that developers can ‘own’ their coding, even during testing and production processes, while operations can provide integrated feedback to development as to performance, defects, and needed updates—the ultimate goal being enhanced customer experience. Transforming from traditional operations to DevOps methodologies is a challenging cultural shift for any organization. To mitigate possible risk and overcome resistance, businesses at times instill certain DevOps procedures into their organizations without introducing needed cultural shifts. The quick, continuous, and reliable deployment objectives that DevOps is designed to meet cannot be effectively executed by simply selecting the most easily implemented procedures without recognizing the organic nature of the cultural shift. To best initiate transition planning, select realistic transition timelines and executable objectives. Incrementally adjust transformation timespans according to the length of time required for effective organic evolution into the DevOps culture. Choose an initial project that indicates a solid outcome with the requirement of design through an incremental focus on the end result. If the transition to DevOps is not as yet in the process of transforming siloed self-absorption into cooperative communication, the adoption of the DevOps culture is primarily incomplete. Remember that all DevOps participants are working towards the same goal. The transformative culture of DevOps encourages that individual preference acknowledges collaborative choice as the overriding consideration. Candid and honest interaction among participants is essential, as is a collaborative concern for the success of all members and the overall project. Automation can moreover facilitate continuity in communication from remote locations. Tight collaboration within a more empathetic culture empowers operations to accomplish an in sync coordination towards efficient results. Operations is the component of the DevOps team responsible for monitoring application interface and system performance. At times, operations overlooks the feedback process, which disengages the collaborative basis of DevOps. 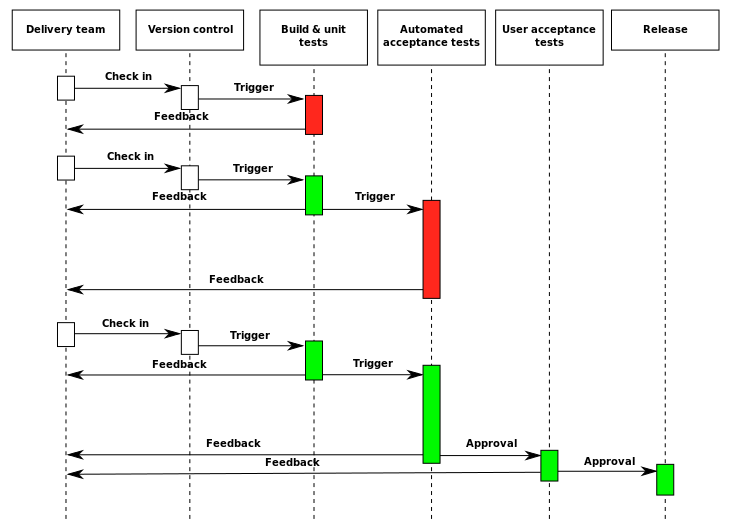 Traditionally, operations has conducted testing and monitoring as a stage subsequent to coding, with little feedback communicated to development. DevOps methods require that monitored operations are integrally communicated to coded development as integral to the process of completing the deployment pipeline. Smooth deployment relies on seamless communication among participants. Traditional development tends to focus more on design and innovation than interface and operation. If the development component of the DevOps team is still somewhat siloed invested interest and lack of communication, there is a breakdown in collaboration on code production essential to the method. The project is then short on adopting true DevOps. Coding simply for the sake of application that generally foregoes the requirement for operation, can at times block the application interface, slowing deployment with the need for retesting and recoding. Coding within DevOps takes into account flexibility of application and consideration for system infrastructure. Essential collaboration between development and operations thereby better ensures smoother deployment. As does any organized process, DevOps operates by procedures. However, procedures support, rather than lead, the DevOps process. The culture of cooperative communication fuels the journey towards project completion, while procedures coordinate collaborative determination. Organizations that focus on metrics and related automation tools over the process of communication fall short in adopting reliable DevOps methods. DevOps requires a business environment that embraces change, and must, therefore, be supported by executive management and top stakeholders. Without a management buy-in, a project can be highly challenged in fully and effectively implementing DevOps. Upfront investment in people, time, test management tools, and training requires devotion to the transition. Therefore managers usually set expectations and quick demonstration of incremental successes to buy into the process. A small initial project that achieves objectives can be effective in engaging management support. Rather than simply motivating discussion, it is DevOps’ purpose to actuate deployment by shared discussion. Precise planning and efficient production by DevOps teams generates qualitative feedback from managers and users. The process is never-ending by definition, contesting the preference of those who prefer finality in results. Learn more on how other teams have implemented DevOps processes by attending the upcoming session of Atlassian Summit 2016: Scaling Without Expanding: A DevOps Story. What's Holding QA Teams Back in 2016? Who Should Be Part of Your QA Team When Building a Culture of Quality?